Presented at the 17th Annual Meeting of Southern Garden History Society, Houston, Texas, March 26-28, 1999. Houston horticulture in recent years has been greatly influenced by a quiet, unassuming man, a Southern gentleman, who truly became a legend in his own time. Lynn Lowrey was a horticulturist by training, a collector by nature. He collected plants and he collected people. A mentor to many, Lowrey left a horticultural legacy to Houston and to Texas. Who was Lynn Lowrey? What did he do? He published no books and only a few articles, yet other authors acknowledged him and dedicated books to him. None of his nurseries were grand successes, yet he influenced other nurserymen in their choice of plant material. He collected and promoted many plants, yet only one rare Camptotheca tree that will probably never be seen outside China carries his name. He was the acknowledged leader in the native plant movement in Texas, yet he rarely attended the meetings of the Native Plant Society of Texas. He hated crowds, yet when he died those who attended his memorial service represented many branches of the Agricultural Extension Service, major universities, arboretums, wholesale and retail nurseries, landscape architects and landscape design companies. Each of those attendees was his friend, each had a connection and a sphere of influence in the world of horticulture and gardening, and each had been touched Lynn Lowrey. Lowrey was born in Mansfield, Louisiana, on May 30, 1917. He graduated from Louisiana State University in 1940 with a degree in horticulture. After serving four years in the United States Army during World War II, he came to Houston in the 1950s where he took a job with Teas Nursery, an established Houston firm. Lowreys bywords were: "This is a great plant. Take it and try it." Often he would say, "This is a Very Important Plant," but then all plants were VIP to Lowrey.3 Anxious to test the limits of plants, he gave them to friends across the state. Friends who lived in San Antonio recalled Lowreys fascination with East Texas plants while friends who lived in East Texas recalled his fascination with South Texas plants. Lowrey was simply testing his favorites for adaptability beyond their normal range. Today a garden style that is widely promoted by the Texas Parks and Wildlife Department is one called Wildscape which encourages using native plants in natural landscaping to provide cover and food for wildlife, particularly for birds and butterflies. That style was not widespread in the 1950s, but it was a style that Lowrey used. At one of the first River Oaks homes he landscaped in Houston, Lowrey planted a natural looking thicket of trees and shrubs to shield the house from the busy street. The landscape must have caused quite a stir and a good bit of discussion in the neighborhood.5 Here was a landscape without neatly clipped hedges, without azaleas, and without the traditional expanse of front lawn. Driving through River Oaks today, one can see many examples of naturalistic landscaping incorporating native plants, including Lowreys first. Lowreys travels and collecting in Mexico certainly enlarged our plant palette and new landscaping around Houston today reflects his influence. The Contemporary Arts Museum has recently planted a row of one of his favorites, the Mexican Sycamore, Platanus mexicana. Lowrey believed it to be a hardy sycamore, more resistant to anthracnos than our native species, more drought tolerant, and more attractive with its large, almost velvety leaves. He encouraged the use of this tree and planted several on the grounds of Festival Institute, Round Top, Texas, in the 1970s. Perhaps the trees that are most identified with Lowrey are the Mexican Oaks: Quercus polymorpha, Q. risophylla, and Q. canbyi. All are commonly used in Houston now. In addition to providing variety for us, these oaks seem resistant to oak wilt, which has become quite a problem in many areas of the state. Through the years, Lowrey made numerous trips to Mexico to collect acorns from specimens that he considered outstanding. Another Lowrey plant commonly used in Houston gardens is a crape myrtle hybrid named Bashams Party Pink. In about 1960, Lowrey obtained specimens of Lagerstroemia fauriei, a Japanese crape myrtle with attractive dark reddish brown bark, from the United States National Arboretum. L. fauriei is more resistant to powdery mildew than the traditional Lagerstroemia indica we have used for so many years. Lowrey began to grow L. fauriei and, of course, shared them with his friends. He gave one to Bill Basham, horticulturist for the city of Houston. Basham had specimens of L. indica in his garden, and eventually a seedling turned up that was a cross between the two. Lowrey collected the seedling in 1963, began propagating it, and of course, encouraged others to try it. Greg Grant, Stephen F. Austin University, believes this was the first L. fauriei hybrid introduction made anywhere.12 In 1967, the National Arboretum began using Bashams Party Pink in their hybridization work. They released their first hybrid, Natchez in 1978, fifteen years after Lowreys introduction of Bashsams Party Pink. In 1982 the National Arboretum released Tuscarora, a coral flowered selection resulting from crossing Bashams Party Pink with L. indica Cherokee. 13 Today hybrids are quite common with new introductions each year from the National Arboretum, but Lowrey had been the pioneer in the field. Bashams Party Pink is widely available and is marketed by Color Spot in San Antonio. The Skullcap, Scutellaria suffrutescens is another popular Lowrey plant. David Creech, Director of Stephen F. Austin Arboretum, recalls being with Lowrey on a trip to Mexico in 1988 and asking Lowrey about the name of the plant with the red flowers. Lowrey responded, "What red flowers?" Lowrey had not seen it because he was red colorblind. At the end of the day, however, he told Creech that the Scutellaria would probably turn out to be the most important plant of the day.16 Its current popularity in many gardens supports his remarks. Mike Anderson recalls that Lone Star offered Lowrey a salary, a credit card, and a Pick-Up Truck and said, "Go Collect. "26 What began as a promising partnership proved to be unsatisfactory. Lowreys nature did not allow him to fit into the corporate mold. Coworker Agnes Hubbard remembers Lowrey saying he did not like turning out thousands of plants "looking like little soldiers. "27 He was happier doing his own collecting, sharing with his friends along the way. A few of Lowreys introductions are still marketed by Color Spot today, but most are available only through smaller wholesale growers who specialize in native plant material. Camptotheca acuminata, called the "tree of Joy" or the "tree of Love" in China, had been introduced into the United States in 1911 by the USDA. In 1991, after Lowrey began propagating Camptotheca trees for research, he took some plants to David Creech for the Stephen F. Austin Arboretum. He gave Creech instructions to plant most of them outside but to keep a few in the greenhouse. Creech had not done anything with them when a few days later, Dr. Li Shiyou, visiting professor in the Stephen F. Austin University Department of Forestry, came knocking on his door inquiring if Creech happened to know where he could get Camptotheca trees. Creech recalled that he had helped Dr. Li previously with various materials such as mulch or extra pots, but it seemed almost ironic that Dr. Li knocked on the door at this particular time, hunting Camptothetca trees. Creech shared Lowreys seedlings with Dr. Li and shortly afterwards was able to introduce him to Lowrey. Through Lowreys contacts, Dr. Li received a grant for his research from the Houston Livestock Association, enabling him to go to China to study Camptotheca species in the wild. It seems fitting that Lowreys last work was such an important one. His fascination with plants had ranged from their use in landscaping to their use in medical research. His love of plants knew no boundaries, no constraints. His generosity to others continues. Even those he will never meet will benefit from his love of plants. Lowrey died on June 28, 1997. On March 18, 1999, dedication ceremonies for the new Lynn R. Lowrey Arboretum on the campus of Rice University took place. Spearheaded by Charles Tapley, architect and landscape architect, and Jerald Mize, an attorney, businessman and plant enthusiast, the Arboretum will feature native Texas trees and shrubs. Initial plantings included two white oaks, two fringe trees, and a swamp chestnut oak. In addition to serving as a living memorial to Lowrey, the Arboretum will be used as an educational resource for Rice University.36 Lowreys legacy continues. American Association of Nurseryman National Landscape Award to Lowrey Nursery in recognition of achievement in landscaping and beautification for North Loop Office Park. The Houston Botanical Society Environmental Achievement Award for personal achievement to Lynn R. Lowrey in recognition of his success in preserving endangered plant species native to Texas in city, and in propagating and establishing such plants in other suitable locations; his relentless pursuit of collecting and introducing native and other rare plants to the Houston area; his generosity in always sharing his knowledge and time with others. The Houston Chapter of the American Institute of Architects and the Municipal Art Commission presents an award of distinguished achievement to Lynn Lowery for an outstanding contribution to the environment of the city of Houston by tireless attention to natural planting throughout Houston. Tom Dodd, Jr., Award of Excellence Second Annual presented to Lynn Lowrey for his achievements in understanding, promoting and using native plants of North America. The Native Plant Society of Texas presents the Nancy Benedict Memorial Award for an act of conservation/service in the field of Native Texas Plants to Lynn Lowrey for his work on the conservation, propagation, distribution of Pistacia texana Swingle. Eighth Annual State Conference, Dallas, Texas. 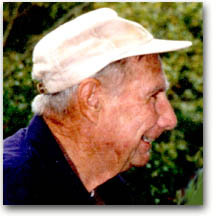 The Garden Club of America gratefully acknowledges the significant contribution to Horticulture by Lynn R. Lowrey for pioneering the use of native plants in the landscape and for generous sharing of his knowledge, time and plants. Garden Club of Houston, Zone IX. your efforts have gone a long way toward building appreciation for the value of native plants and the habitat that they provide." The Native Plant Society of Texas presents this Charles Leonard Weddle Memorial Award in recognition of a lifetime of service and devotion to the Texas native plants to Lynn Lowrey. Presented this 19th day of October, 1996, at the annual meeting of the Society, El Paso, Texas. 1 Lowrey, Lynn, Unpublished notes from interview with Sally Wasowski. 2 Lowrey, Lynn, Personal letter to Sally and Andy Wasowski, May, 1990. 3 Creech, David, Personal interview, Nacogdoches, Texas, December 17, 1998. 4 Lowrey, Lynn and Don Peacock, "Planting Today," Lowrey Nursery Newsletter, Conroe, Texas, undated. 5 Anderson, Mike and Patsy, Personal interviews, Houston, Texas, September 1, 1998. 6 Lowrey, Lynn, "Houston: Crossroads of East and West, Temperate and Subtopic," Lowrey Nursery Newsletter, Conroe, Texas, undated. 7 Wasowski, Sally and Andy Wasowski, Native Texas Gardens, Gulf Publishing Co., Houston, 1997, p 90. 8 Cox, Paul, Personal interview, San Antonio, Texas, January 28, 1999. 9 Fleming, Will, Personal interview, Columbus, Texas, January 29, 1999. 10 Welch, William C., Personal interview, College Station, Texas, January 18, 1999. 11 Jones, Ann, Personal interview, Houston, Texas, February 9, 1999. 12 Grant, Greg, Personal interview, Nacogdoches, Texas, December 18, 1998. 13 Egolf, Donald R., "National Arboretum introduces Lagerstroemia Tuscarora, Southern Florist & Nurseryman, June 11, 1982, p 8. 14 Lowrey, Lynn, "Ruellia brittoniana var. katie," American Nurseryman, February 1, 1991. 15 Parons, Jerry, E-mail, April, 1999. 17 Benny Simpson (1928-1996), horticulturist, Texas A & M Research and Extension Center, Dallas, author of A Field Guide to Texas Trees; Carroll Abbott (1926-1984), founder of Green Horizons Seed Company, Kerrville, Texas, author of How to Know and Grow Texas Wildflowers; Barton Warnock (1911-1998), Professor Biology, Sul Ross State University, Alpine, Texas, author of Wildflowers of the Big Bend Country. 18 Lowrey, Lynn, Memorial tribute to Benny Simpson, January, 1997. 21 Fairey, John G., "The Wonder and Excitement of Plant Exploration in the Mexican Sierra Madre Oriental," Proceedings: Oktober Gartenfest, 1995, University of Texas at Winedale, October 1995. 22 Lowrey, Lynn, "New tree discovered in Mexico," American Nurseryman, August 1, 1984. 23 Parsons, Jerry, Personal interview, San Antonio, Texas, January 21, 1999. 24 Lowrey, Lynn, "New tree discovered in Mexico," American Nurseryman, August 1, 1984. 25 Parsons, Jerry, E-mail, May 3, 1999. 27 Hubbard, Agnes, Personal interview, San Antonio, Texas, January 21, 1999. 28 Nokes, Jill, E-mail, Austin, Texas, January 16, 1999. 34 Lowrey, Lynn, "Camptotheca acuminata," American Nurseryman, March 1, 1995. 36 Kaplan, David, "Arboretum to Showcase Areas Beauty," Rice News, Volume 8, Number 26, March 25, 1999.